Are you spanking new to the mobile app design world? It’s a great time to be in app development and creation. It’s a thriving industry – especially on the mobile side. But if you have no app development experience, or have only designed apps for websites, don’t worry. There are just some things you’ll want to consider when coming up with app design ideas. As with anything, practice and experience makes all the difference. But right now while you’re new to this, we’ve got some tips that will help you get started. By this, we mean to do some brainstorming, execute the research, then physically write it out and/or draw your app design ideas in a sketchbook. This seems like an obvious step, but the majority of app developers want to skip it. That’s likely because designers are lured by the quick results that come from apps like Photoshop or Sketch. They want to get in there to start exploring styles and execute layouts. 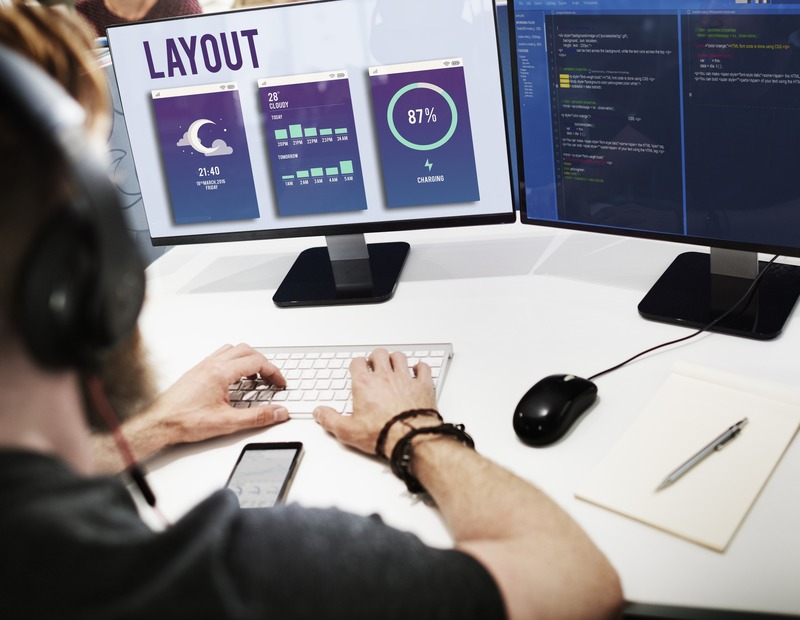 Experienced designers see this as a distraction from the real issue at hand – that is, summing up your app into one feature and then ensuring that that feature is the primary function. No matter how simple the application, it’s crucial to have given serious thought to how users will flow between content and actions. By having this flow map in place, mobile app designs are far more likely to have a logical navigational structure. Android, iOS and Windows and iOS each have guidelines that cover different design styles. They can be rather detailed too – offering specific information like widths between text. If you’re running on empty for app design ideas, this can be a good place to start. Mobile apps are essentially lists that need to be navigated. So when designing a mobile app, your job is to hide the fact that it’s simply listed and find a way to make that navigation interesting and rewarding. It’s harder than it sounds. But if you establish a strong foundation with proper hierarchy, your layout can be varied while still delivering the same information. There’s a tendency for companies with an eye on innovation to focus on their competition first. In the meantime, the focus on their customers becomes secondary. And this is backward thinking. What are they going to use the app for? Where will they be using it? How much time will they have to use it? Of course, you’ll want to come up with your own answers. But also get answers from potential customers. Taking cues from their reactions and incorporating them into your mobile app design ideas will have tremendous value. Mobile app navigation is dominated by the thumb. In fact, a study found that about 75% of people’s interactions with a smartphone were managed with the thumb. Even if the device was held with two hands. Your app design ideas should account for this. Current smartphones are in the range of 4- to 5.5-inches with a vertical orientation. But future generations of devices will probably be larger. So consider all of this in your design ideas. Since the majority of people are right-handed, the southpaws are easily overlooked. Allow users to configure the UI through some kind of setting. For instance, a switch to specify whether they’re right- or left-handed. 7. Do You Need A Page Title? On a website, a page title is a tool that helps users remember where they are. They can also give the design a finished look. But with mobile app designs, the real estate is far more expensive. So strongly consider whether you really need a page title. If you can skip it – or at least have it disappear until refresh or scroll – you could better use the space to create a search area. We’re talking about the invisible grid that exists on every surface. It’s a design element that serves as a guide to you. The moment you insert a word, line or even a dot onto that grid, you’ve started defining your spacing. And each stroke defines the space with which you have to work. So unless you have a good reason for inconsistency – such as one section being the child of another – be sure to maintain consistent heights and widths with the margins and padding. This is not the place to get daring and unconventional with your design. It’s best to not make users dig around for the information they need. Rather than burying them, design key functional screens close to the top. Even if it’s not as aesthetically pleasing. Simply put, you’re keeping the navigation friendly and uninterrupted to get the most effective end-user experience. This doesn’t mean to choose your favorite colors. The colors of your brand may not be your preference, but you should use them. Customers already have an emotional relationship to those colors and connect them with the service or product. From there, keep in mind that color value can be used to denote purpose. So if, for example, you were to make one button black, a second button dark grey, and a third button light grey, you’re essentially saying that the first button is the most important. And choose colors that are different from your brand colors when creating buttons. Keep in mind the cultural connections with color in this case. As eye-catching as red is, avoid it for “Buy” buttons. In much of the world, red means “stop.” You’ll have a more profitable result using a green button. We hope this list of app design ideas and tips has helped you feel more confident about fulfilling your own design. If it all feels like too much, feel free to turn to our team of experts for help. We’re happy to join you on your journey.